White Water at March Hiawatha on Tap! The Hiawatha Music Coop announces the third 2019 monthly traditional music concert. The concert series is called Hiawatha on TAAP (Traditional Acoustic Arts Performance) and is held each month on the third Wednesday at the Ore Dock Brewing Company. Local and regional traditional musicians will perform each month, January through May. 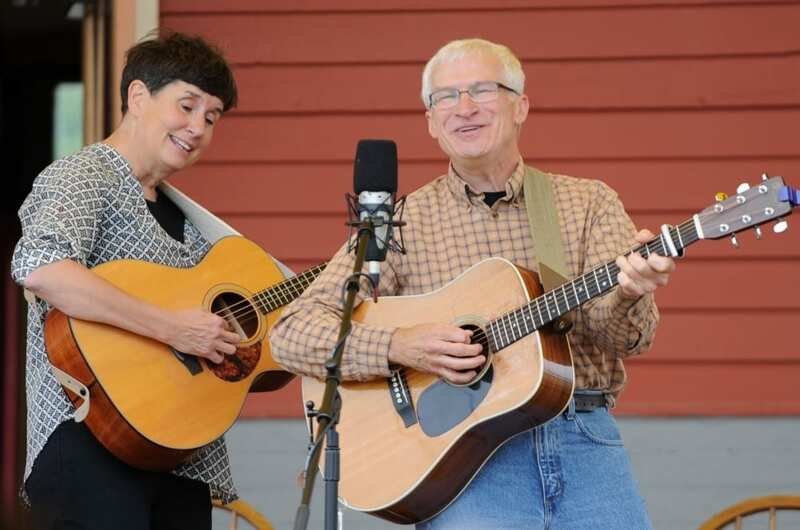 The March event will feature the Upper Peninsula folk music royalty of Dean and Bette Premo in their band, White Water. The music begins at 6pm and ends at 8pm. Complimentary snacks donated by Togo’s are available for attendees. This concert will feature the Premo’s along with Carrie, Emma and Susan Dlutkowski. The Premo’s formed the band White Water in 1984. Their welcoming style invites every audience member to richly experience folk and traditional music. They sing songs about people who live and lived in the Upper Peninsula and their concerts are often a walk down memory lane with such songs as Log Drivers Waltz, Someone is Waiting and Indigo. With Dean’s quick guitar licks to Bette’s sweet tunes on her hammer dulcimer to their lilting harmony on a ballad to Bette’s break-neck fiddle tunes, their songs are sure to warm up even the longest winter nights. If the crowd pleases, there may be a bit of traditional dancing lessons as well. For the past ten years, Carrie and Susan Dlutkowski have been regular members of White Water and they will be part of the ensemble for the March 20th event. Carrie’s exceptional fiddling and stunning Ottawa Valley step-dancing is a crowd pleaser. Susan’s percussive-style piano gives White Water dance tunes an emphatic pulse and forms a wonderful accompaniment to Emma and Carrie’s fiddles. Bette and Dean are long-time activists for performing arts in the Upper Peninsula. For thirty-four years, they have organized and hosted the Second Sunday Folk Dance series that features national and international talent in a concert and dance setting. Their newest endeavor (“Beethoven and Banjos”) is a collaboration of traditional and classical music featuring world class musicians in week-long residency in the Upper Peninsula. This annual festival started in 2015. Beethoven and Banjos artists lead school workshops, compose pieces inspired by the U.P. and provide concerts in various theatres.